I play battlefield 1 every week. IIts been more than a month and with the latest update today ping still bad. I use to get 34 ping at HK server now its 300 ping. In Japan server before was 79 to 81 Ping now its 162 ping. It has happened in BF1 and BF4. There something wrong with the servers. Other games like Titan Fall 2, Gears of War 4, The Division etc no problem. When can they fix this issue? It really is frustrating. Ping server stability is the most important thing in multiplayer. What about the issue in pre-round where you can't spawn into a vehicle because it violates 'the server rules'? Is that problem still happening? I'm on the road for business and no access to my gaming rig, so I can't check for a few days. Bad enough they're still requiring 20 players to start round. Then no vehicle play to entertain people until the round starts? No pre-round flags being active so players can have a mutual meeting spot on the map to duke it out until the round gets going? I can't wait till early next year when EA is going to have to start coughing up details on what they're planning for BF 2018, in particular dedicated servers and hosting. No pre-order here until THOSE DETAILS are revealed. 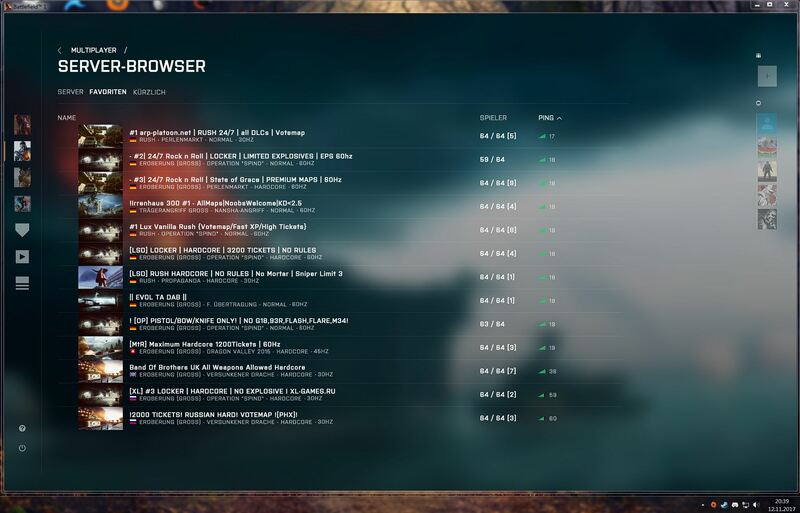 my ping for EU server Bf1 compared to BF4 at the same time = BF1 is unplayable right now! Something is damn wrong here ... what the hell did they do? Still no fix until today. I called my ISP. They say they don't have any problem. 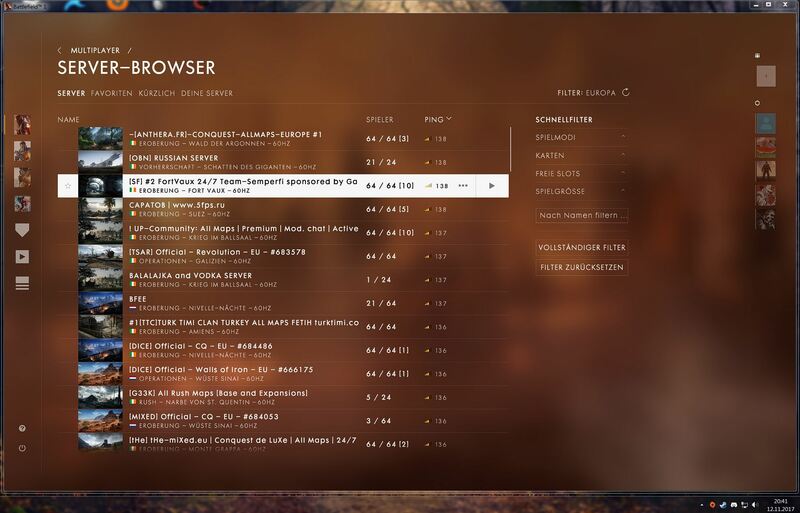 It is most likely has to do with the server of Battlefield 1 and 4. Other games have no ping problem. In Gears of War 4 I get 22 ping, Titanl Fall 2 80-90 ping. I even tried the 10 hour trial of Star Wars Battlefront closest ping server japan 76ms from options EA account. This is really depressing. Battlefield is my favorite game.